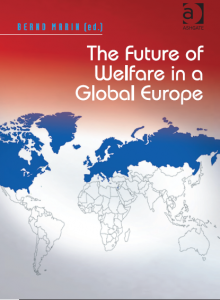 This book publication grew out of the symposium by which the European Centre for Social Welfare Policy and Research, Vienna, affiliated to the United Nations, celebrated its 40th anniversary, in September 2014. In a way, the collected volume reflects partly the Centre’s main topics and priority contents of research, partly the scholars and experts (formerly) linked to the European Centre, partly simply the key challenges of welfare sustainability in the 21st century. It addresses not an inward-looking or a smaller Europe such as the Eurozone-18 or EU-28, but the whole UN-European region, currently spanning 56 member countries across three and a half continents, as visualized on the cover page.